Providing realistic responses to issues in the Mediterranean region, promoting and implementing integrated management processes, mobilising the most pertinent expertise, and funding projects. All our activities require the development of strategic relations with various organisations. Today, we conduct our activities in synergy with more than 300 partners throughout the Mediterranean Basin (research centres, NGOs, governmental or supra-governmental organisations, and foundations). Establishing these solid partnerships is indispensable for achieving our objectives, and we wish to thank all of our partners and financial backers. The MAVA Foundation was created by Luc Hoffmann in 1994, with the mission of establishing solid partnerships so as to preserve biodiversity for future generations. The Tour du Valat is one of the key projects backed by the MAVA Foundation, from which it receives major support. AccorHotels has been a partner of the Mediterranean Lagoons Transfer Unit since 2004, helping it celebrate World Wetlands Day and supporting its communication campaign that aims to promote events in Mediterranean lagoon territories. Its employees also participate every year in a project that promotes wetlands. In the framework of a call for projects to fund doctoral theses linked to the notion of ‘risk,’ the AXA Research Fund has provided funding for the doctoral thesis Emerging infectious diseases in Mediterranean wetlands in the context of global changes. At the beginning of 2017, the Axiome endowment fund signed a 5-year sponsorship agreement to support the awareness-raising missions of the Mediterranean Lagoons Transfer Unit, particularly those linked to World Wetlands Day and the European Heritage Days. The CEPAC (bank) will continue to support our projects, funding an electric vehicle, the creation of agroforestry plots on the Petit Saint-Jean Estate, and an alternative mosquito control project that uses no insecticides. After undergrounding the power lines that cross the Tour du Valat Regional Nature Reserve, an agreement was signed to promote this kind of action and to provide biodiversity training for ENEDIS agents. The Greater Flamingos programme received financial support from the ‘oxygen’ challenge. 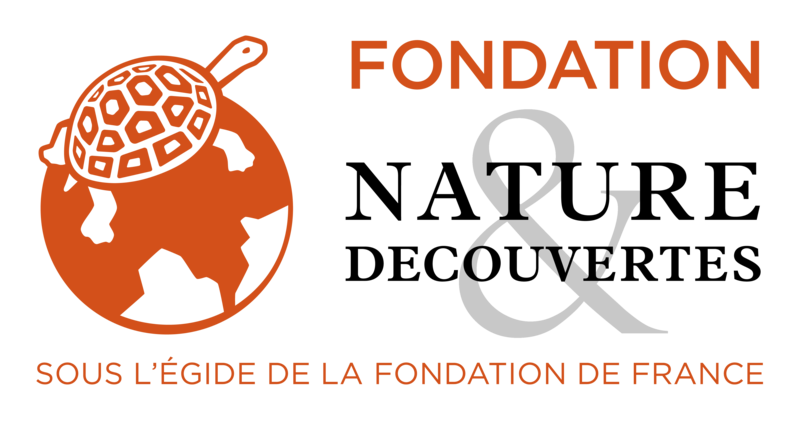 The Daniel and Nina Carasso Foundation provided support to the Tour du Valat Foundation–through the Fondation de France’s ‘Ecosystems, Agriculture, and Food’ programme—for our project to create a showcase site for agroecology on the Petit Saint-Jean Estate in the Camargue. 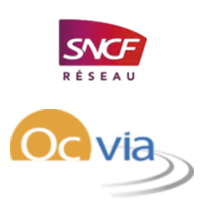 The Fondation de France supports two multi-disciplinary research projects at the Tour du Valat. One is to develop a participative geographical information system for the Greater Flamingo that encourages a social and human approach to science. The second project, which focuses on agricultural production systems, seeks to develop a showcase site for agroecology on the Petit Saint-Jean Estate in the western Camargue. The Heritage Foundation supports an agroforestry and agroecology project on the Petit Saint-Jean Estate, which aims to develop a showcase site for permaculture, with the of planting berry hedges and digging ponds, to create a model for the farming of tomorrow. 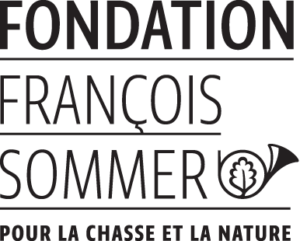 Grounded in the many common points linking the François Sommer Foundation and the Tour du Valat Foundation, a partnership has been established to develop and promote sustainable hunting practices, and engage in scientific activities that focus on wetland species. The Gecina Foundation provides support for the Résifaune Health Ecology project, which aims to improve our understanding of the role played by wildlife in the circulation of antibiotic-resistant bacteria by studying those carried by rodents and gulls in different habitats in the Camargue. The “Helping hand” programme sponsored by the Nature et Découvertes Foundation provided funding for a project to fit Eurasian Spoonbills with GPS tags. This project was carried out with the school in Le Sambuc (commune of Arles), and will follow their migrations to sub-Saharan Africa. Since the Mediterranean Wetlands Observatory was set up, the Prince Albert II of Monaco Foundation has helped the Tour du Valat to assess the status and trends of wetlands in the Mediterranean Basin, in particular by developing indicators concerning their water resources and biodiversity. Continuing our partnership initiated ten years ago, this year the Total Foundation provided support for our Greater Flamingo research programme. It also supported our monitoring of the Slender-Billed Gull, a modelling project on the site of the former saltworks in the Camargue, the monitoring of biodiversity in marshes, as well as the Mediterranean Wetlands Observatory. In the framework of our development of a showcase site for permaculture on the Petit Saint-Jean Estate, which focuses on agroforestry and agroecology projects, the François Lemarchand Foundation is providing support for overhauling the irrigation network and developing niche crops. HSBC Bank, a long-term sponsor of Earthwatch, which enables citizens to get involved in scientific research projects, has offered funding to the Tour du Valat Foundation for botanic inventory research on a rare species, Golden Garlic Allium moly, and an invasive exotic species of false indigo. The Klorane Botanical Foundation and the Tour du Valat Foundation are both the work of visionaries committed to a harmonious relationship between Humanity and Nature: Pierre Fabre and Luc Hoffmann who knew and appreciated each other. The two foundations have a joint project to cultivate European Searocket (a medicinal plant) in the framework of the agroecology project on the Petit Saint-Jean Estate. The LyondellBasell Group, a local actor in the petrochemical industry near the Etang de Berre and the Gulf of Fos, was one of the first corporate sponsors of the Tour du Valat Foundation. It has provided support for the Greater Flamingo project among others. Its geographical proximity has allowed it to participate in several nature clean-up projects, such as the eradication of invasive species on the Tour du Valat Estate. The Oak Foundation, which focuses its actions on social and environmental issues of worldwide importance, made a contribution to the Tour du Valat, when Luc Hoffmann passed away in July 2016, to acknowledge his exceptional contributions. In the aim of preserving a very rare plant species, Lythrum thesioides, which has been identified at only two sites in the Gard, a partnership was created with OC’VIA (construction company) and the SNCF (train company) to fund a doctoral thesis on the ecology of this species. During the three years of his doctoral research, Antoine Gazaix will conduct experimentations in controlled conditions and test management methods in order to make some recommendations. This project falls within the framework of the measures accompanying the construction of a high-speed train line. In 2017, VINCI Autoroutes (ASF south of France motorway network) signed a three-year partnership agreement with the Tour du Valat, which is intended to support its Mediterranean Lagoons Transfer Unit. This partnership reflects a common desire to promote Mediterranean lagoon habitats for the employees and users of this motorway network, through the ASF radio station and exhibitions at motorway rest areas. 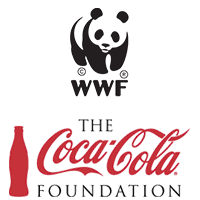 In the framework of an international partnership, WWF is working with Coca-Cola in its ‘Replenish’ programme. The aim is to give back to nature and communities the same amount of water as that used for the worldwide production of its drinks. In France, this commitment has resulted in a sponsorship agreement between Coca-Cola and WWF-France for a project aiming to improve the hydrological and biological exchanges in the lagoons and marshes on the former Camargue saltworks site. This area is jointly managed by the Tour du Valat, the French coastal protection agency (CdL), the Camargue Regional Natural Park, and the National Nature Protection Society (SNPN). The Tour du Valat coordinates the actions conducted in the framework of this project, based on specific site management guidelines.